It’s almost Halloween and Fall is making an appearance all the way down here in the south. The leaves are turning, the air is getting crisp and I’m digging out my handknit socks and sweater to wear. And of course there are pumpkins to be found everywhere. As much fun as it is to carve them, they really shine when you start to cook with them. 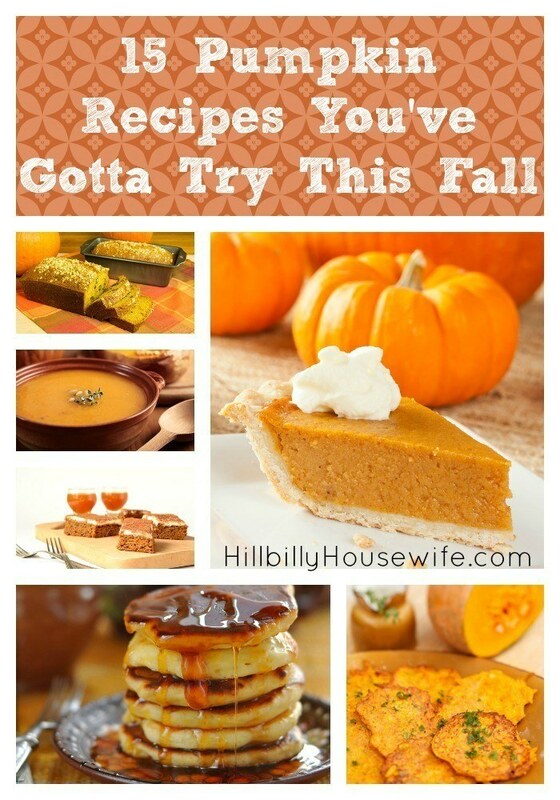 I thought I’d share 15 of my favorite pumpkin recipes with you today. Give them a try and let me know what your favorites are. Let’s start with something pretty basic. It’s not very good on it’s own, but we’ll use it in quite a few of the recipes that follow. 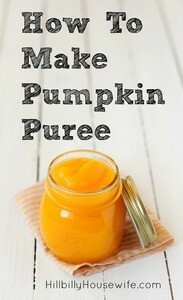 Or use it in any of your own recipes that call for canned pumpkin. Fall is perfect soup weather and there isn’t much that’s better than a nice cup of pumpkin soup. I love the sweet and savory combination. Add a slice of homemade bread and you have a great lunch or light dinner to warm you up on a cold day. These pumpkin fritters make a delicious treat. They are a yummy side dish, or roll them in cinnamon sugar to enjoy as an afternoon snack or for breakfast. 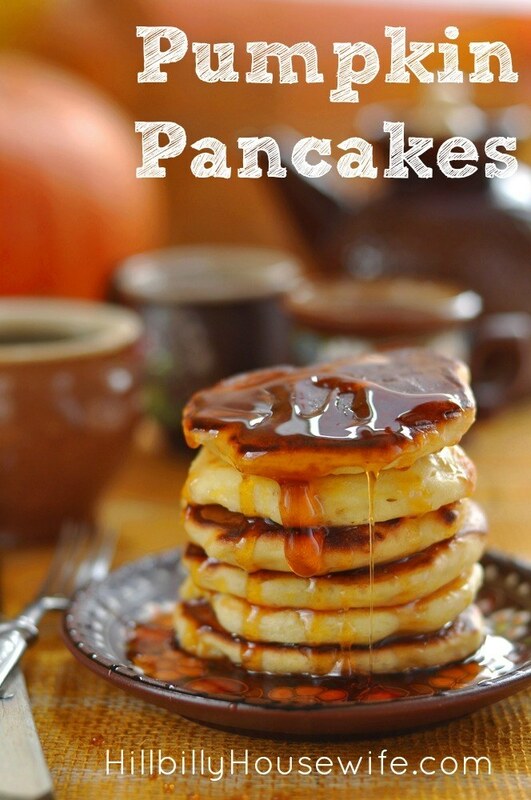 If you love all things pumpkin this time of the year, you have got to give these pancakes a try. They are a weekend favorite around here in the fall. It wouldn’t be fall without some delicious pumpkin pie. This recipe is as easy as it is scrumptious. If you’ve never made pie from scratch, give it a try. You can use a prepared crust or make your own using this pie crust recipe. I love starting my fall days with a yummy pumpkin smoothie. The banana adds a little sweetness and creaminess to the finished drink. It’s a filling and healthy breakfast, but also makes for a great snack any time of the day. 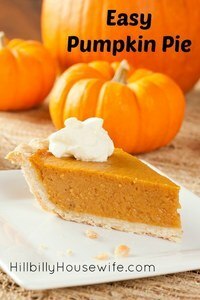 I love a nice pumpkin pie, but don’t always feel like baking. This dip is a quick yummy snack that gives you the same sweet pumpkin flavor without the oven. While this isn’t a recipe with pumpkin it it, it’ll be hard to make half the recipes in this post without it. That’s why I decided to include it. We love this homemade stuff around here. This is such a great lunch time treat or afternoon pick-me-up. My favorite time to fix it is right before I head out to pick my daughter up from school. I get to relax for a few minutes in the car pickup line, do a little knitting and sip on my drink. 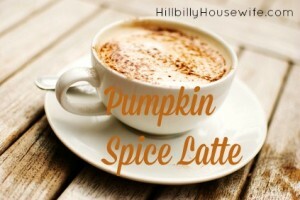 Perfect for those early fall days when you want all things pumpkin spice, but it’s still too warm for a hot coffee drink. A list of pumpkin recipes wouldn’t be complete without everyone’s favorite fall beverage. And yes, I do include actual pumpkin in my recipe. You’ll need a little snack to go with that PSL. How about a slice (or two) of pumpkin bread. You’ll love this nutty version. Lots of flavor and just the right amount of crunch. Wanna spice things up a little bit in the cookie jar? 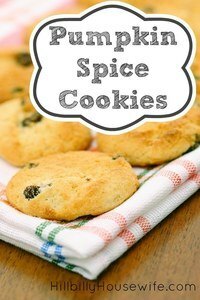 Try these simple pumpkin spice cookies. The raisins add just the right amount of sweetness. We love them plain, but they are also delicious with the cream cheese frosting. These yummy bars are perfect for fall classroom parties, or as a delicious dessert any time of the year. They’re tasty, festive and not all that bad for you. Plus it’s easy to cut them into smaller or larger squares depending on how many people you’re serving. Let’s wrap things up with one more pumpkin soup recipe. I think after pie, soup is my favorite dish to make with pumpkins. I love the savory flavor and what’s not to love about soup in the fall. I hope you’ll enjoy these recipes as much as we have. Don’t run around like a chicken (or should that be turkey?) with its head cut off on Thanksgiving morning. 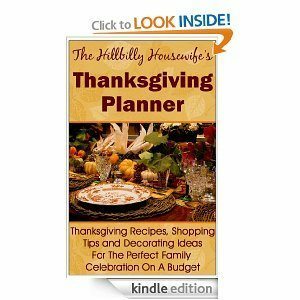 The Hillbilly Housewife’s Thanksgiving Planner will help you plan ahead and stay on top of things so you can actually enjoy Thanksgiving with your family & friends. If you take a quick minute to read the first chapter you’ll realize how easy your Thanksgiving celebration will be. There are plenty of tips and ideas to make sure this year’s feast doesn’t stretch your budget to the breaking point, too. There are also 2 bonuses tucked inside: A printable planner & checklist and all of the recipes in a printable pdf file.